The mature embryo induced axillary buds were used as explants to investigate rapid propagation of precocious thin-shelled “Lv Ling” walnut in the MS basic medium with different concentrations of plant growth regulators. The results showed that MS + sucrose 30 g/L + agar6 g/L was the most feasible medium for embryo germination, and MS + 6-BA 2.0 mg/L + NAA 0.2 mg/L + sucrose30 g/L + agar6 g/L was the best for induction and multiplication of the axillary buds in all tested treatments. The 50% of rooting rate was achieved by a two-stage rooting method, namely, the shoots were first cultivated in DKW + IBA 8.0 mg/L + sucrose30 g/L + agar6.0 g/L medium for 20 days under dark condition, then transferred to DKW+ sucrose30 g/L + agar6.0 g/L medium under light condition. After transplanting to the field, 33.3% of the seedlings survived. 李保国, 齐国辉. 绿色优质薄皮核桃生产[M]. 北京: 中国林业出版社, 2007: 48-49. 原双进, 刘朝斌. 核桃栽培新技术[M]. 西北农林科技大学出版社, 2005: 4-5. 田爱梅, 王国强. 实生核桃茎段的组织培养及影响因子的研究[J]. 三峡大学学报, 2002, 24(4): 375-378. 刘兰英. 核桃的组织培养和快速繁殖[J]. 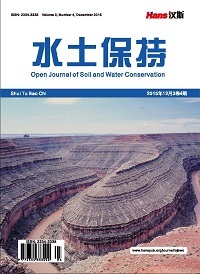 植物生理学通讯, 2000, 36(5): 434-435. 苗玉青, 李冠, 吴松林等. 薄皮核桃组织培养与快速繁殖[J]. 新疆农业科学, 2010, 47(3): 503-507. 曾斌, 何天明, 吴玉霞等. 新疆野生核桃的组织培养和植株再生[J]. 新疆农业科学, 2011, 48(7): 1227-1230. 张进, 张燕, 吴国良等. 核桃茎段组织培养[J]. 经济林研究, 2005, 23(2): 36-38. 李明军, 陈明霞, 张峰等. 美国黑核桃组织培养的初步研究[J]. 河南科学, 2003, 21(3): 286-289. 王琴. 核桃试管微繁增殖培养基的筛选[J]. 甘肃林业科技, 2003, 28(4): 16-18. 宋锋惠, 史彦江, 卡德尔. 美国黑核桃组织培养快繁技术研究[J]. 山西果树, 2004, 25(5): 4-6. 裴东, 袁丽钗, 奚声珂. 核桃品种试管嫩茎生根的研究[J]. 林业科学, 2002, 38(2): 32-38. 王清民, 彭伟秀, 张俊佩等. 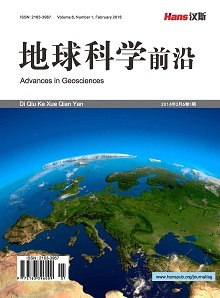 核桃试管嫩茎生根的形态结构及激素调控研究[J]. 园艺学报, 2006, 33(2): 255-259. 张智英, 李保国, 顾玉红等. 核桃胚培养快速成苗技术初探[J]. 植物生理学通讯, 2008, 44(6): 1143-1145. 张启香, 胡恒康, 王正加等. 山核桃间接体细胞胚发生和植株再生[J]. 园艺学报, 2011, 38(6): 1063-1070. B. G. Sheikh, K. Vahdati, S. H. Bahrami, et al. Enhancement of maturation and germination of somatic embryos in Persian walnut (Juglans regia L.) using osmolites, hormones and cold treatments. African Journal of Food Science, 2010, 4(12): 735- 743. Y. Saadat, M. Hennerty. Effects of different in vitro and ex vitro treatments on the rooting performance of Persian walnut (W Juglans regia L.) microshoots. Acta Horticulture, 2001, 544: 473-480. V. Kourosh, L. Charles, Z. Zabihollah, et al. Rooting and accli- matization of in vitro-grown shoots from mature tree of three Persian walnut cultivars. Hort Science, 2004, 39(2): 324- 327.